Welding Services Edmonton | Home | Totem Welding Co Ltd.
We’ll hook you up with a quality trailer or RV hitch. Totem Welding Co Ltd. is a family owned and operated business based out of Edmonton. In business for over 55 years, we are a fourth generation company and our team has a combined experience of 130 years in the welding industry. We are the first place many people stop when they need general welding services in Edmonton, in part because we provide custom welding services to our clients. Our Red Seal journeymen have provided quality service since 1961. We can create stairs, handrails, roof racks, bollards, and more. Our welders work with a huge variety of materials everyday. Do you need a trailer hitch? We’ll hook you up. At Totem Welding Co Ltd., we have worked for many years to perfect our trailer hitches, and our current version is the culmination of all this hard work. 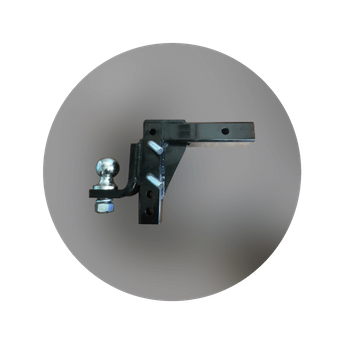 Our hitches are perfect for your RV so you can attach a boat, quad, or bike rack. For commercial use, we also specialize in heavy duty hitches. If you need something special we will accommodate that. We can make you a hitch that pulls your unique cargo. Contact us today to learn more about our welding services or to get your custom hitch in Edmonton. We will be pleased to take your call.